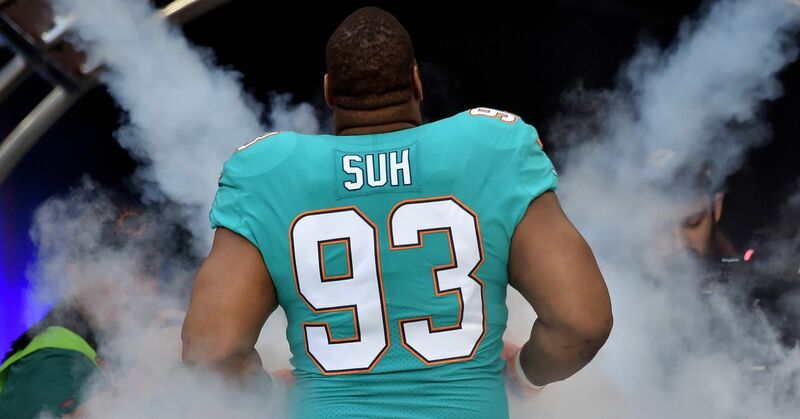 Yahoo Sports insider Jordan Schultz reported this evening on Twitter that DT Ndamukong Suh has not yet chosen his new team as of yet. He previously tweeted that the New Orleans Saints and the Tennessee Titans have become major players in the Suh sweepstakes. But a new wrinkle has emerged with the update that the Los Angeles Rams will be sitting down with the five-time Pro Bowler this week. Vincent Bonsignore of the OC Register previously tweeted that Suh looked to be a longshot with the Rams, but even he is confirming this new scoop. Even though the Rams have a glaring hole at the edge rusher position, the Rams could use an upgrade over DE Ethan Westbrooks and DT Tanzel Smart. And the idea of Michael Brockers, Aaron Donald, and Ndamukong Suh lining up next to each other would be absolutely devastating for opposing offenses. They would be literally eating quarterbacks for Sunday brunch. This could be a situation where it’s helpful to have Wade Phillips and Sean McVay doing the recruiting. They are obviously great in a room and guys like playing for them. Since Suh was very impressed with the Saints and the Titans, the Rams will have to sell him on the culture of the Rams as well as other tactics.